The German composer has scored the music for more than 100 films over a 30-year career. He won an Oscar in 1995 for best original score for the Lion King. Other films he has composed for include Rain Man, Crimson Tide, Gladiator, The Pirates of the Caribbean films and The Dark Knight Rises. 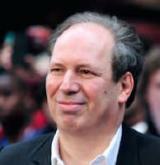 Zimmer, 55, has also won two Golden Globe awards and three Grammys. Other compositions include the main theme for the Call Of Duty: Modern Warfare 2 video game and the game show Going for Gold. Zimmer has most recently been working on Spider-Man 2 and Christopher Nolan's new film Interstellar. The co-chairmen of the Classic Brit awards committee, Dickon Stainer and Barry McCann, said they were "absolutely delighted" to be honouring his "outstanding talent". "Hans Zimmer's recent work, including Inception, has been a dominant force for classical music specifically in the digital-download era. "It is only appropriate that four years on from his 2009 win for soundtrack of the year for The Dark Knight he should receive the outstanding contribution to music at this year's ceremony," they said. The Classic Brits will be held at Royal Albert Hall in central London on Wednesday 2 October. Last year, the five-time Oscar-winner John Williams received a lifetime achievement award at the Classic Brits.